Getting there: เดินทางกับสายการบิน THAI Smile เที่ยวบินกรุงเทพฯ, เชียงใหม่.​ อุบลราชธานี,​ และภูเก็ต ได้อย่างสะดวกปลอดภัย โดยสำรองที่นั่งได้ที่ www.thaismileair.com. 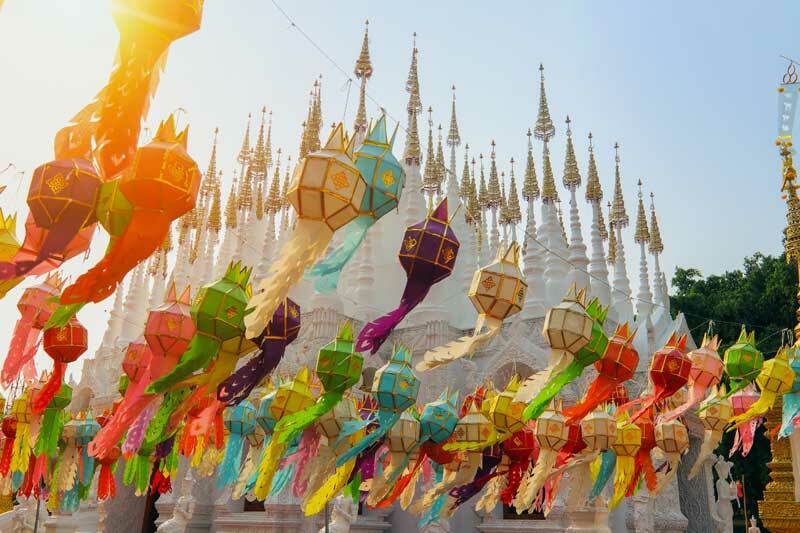 The Traditional Thai New Year is the time for renewal and happiness. But our New Year and International New Year are not the same. New Year’s Day on the Gregorian calendar is January 1. Thai New Year’s Day, which marks the start of Songkran or the water festival, is April 13 and celebrated until April 15. 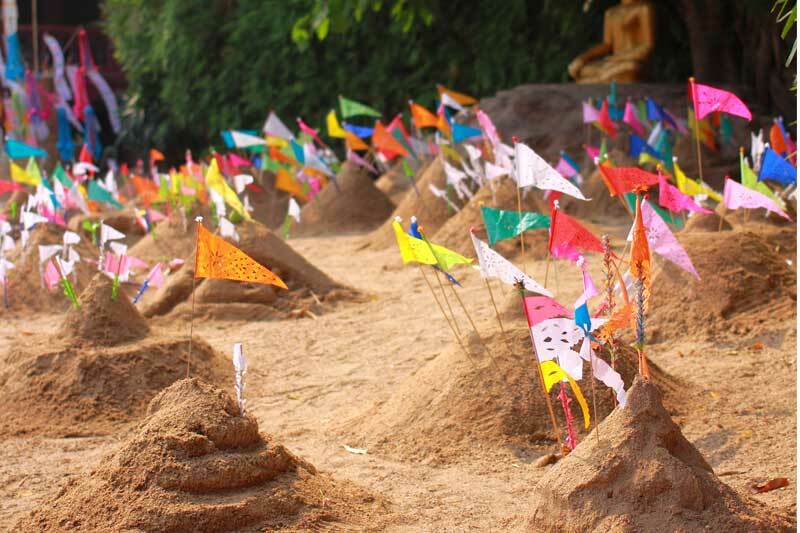 The festival period sees a mass exodus of workforce from Bangkok to the country to reunite with their families, pay respect to their elders, engage in merit-making and celebrate Songkran by splashing and spraying water. Songkran, largely influenced by the Hindu festival of Holi, is celebrated across Southeast Asia in Thailand, Cambodia, Laos, Myanmar and Vietnam. 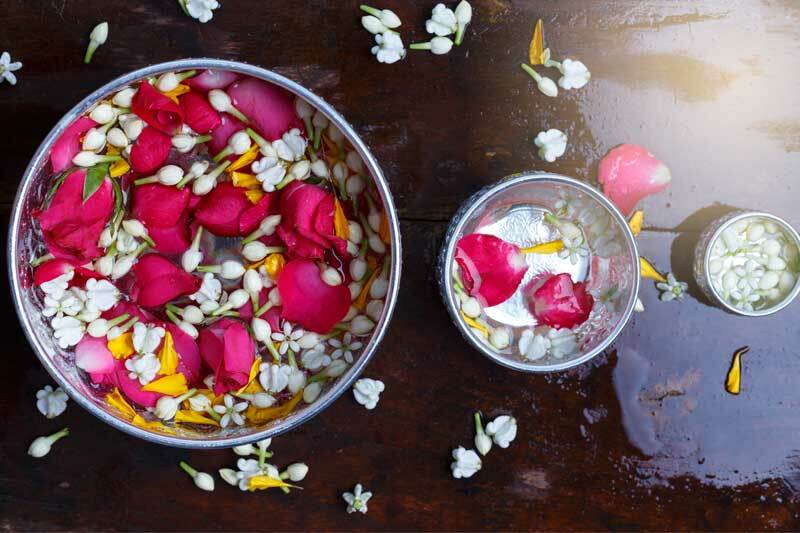 Songkran is derived from a Sanskrit word meaning “astrological passage”. 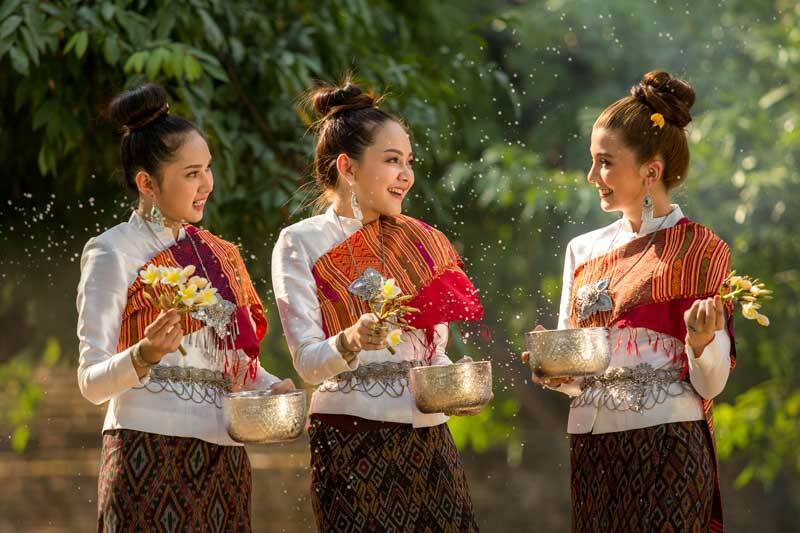 New Year’s Day is called Maha Songkran Day while the next day is known as “Wan Nao” Day and the 3rd day Thaloeng Sok Day. In Thailand, April 13 is designated National Elderly Day and April 14 Family Day. 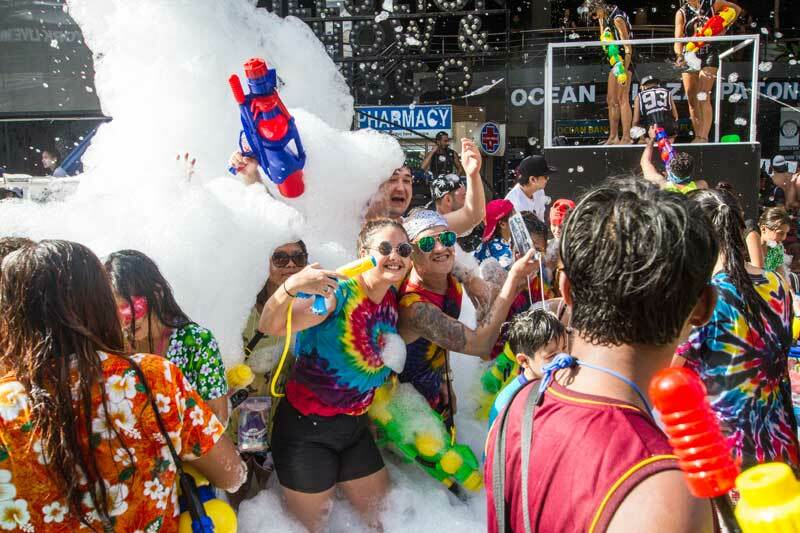 Songkran celebrations take place at various venues across Bangkok. Sanam Luang hosts a ceremony in which Buddhists come together to bathe Buddha images, offer alms to monks an dsee performances. 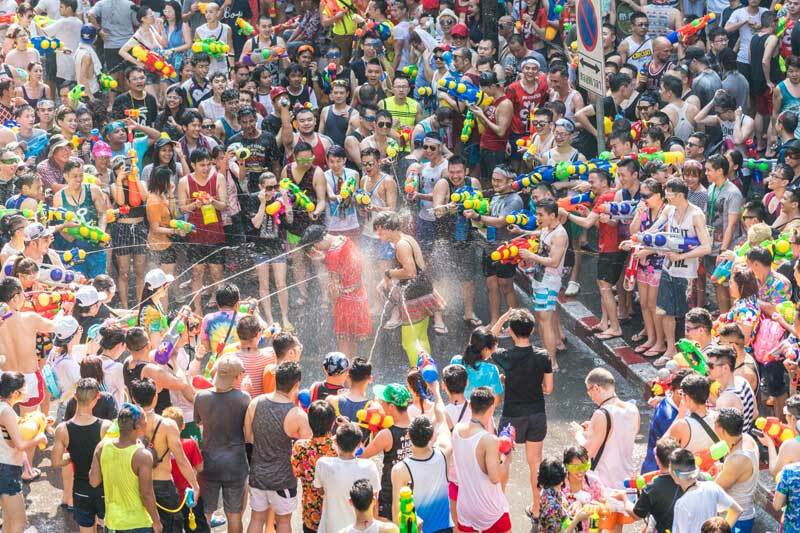 World-renowned Songkran venues include Khao San Road and Silom Road, both jam-packed with revellers splashing water from dawn to dusk. 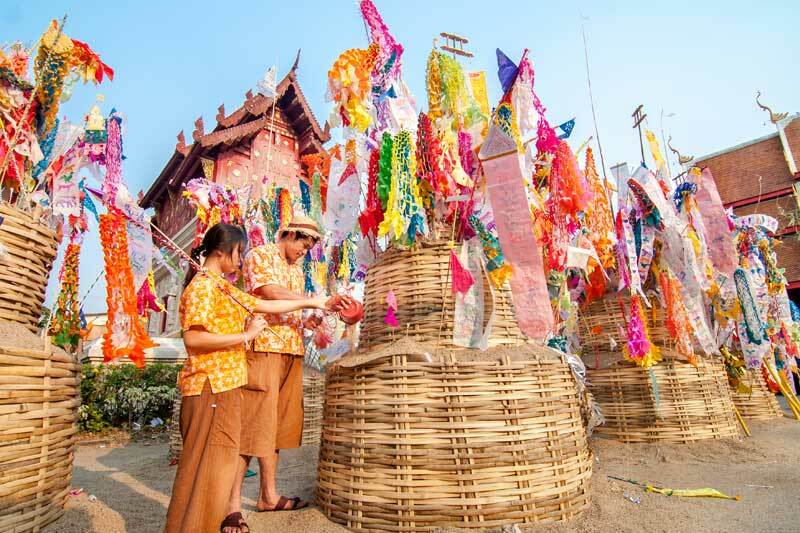 In the morning, people will file into temples for merit-making activities such as offering alms to monks, releasing birds and fish and building lavishly decorated sand chedis. 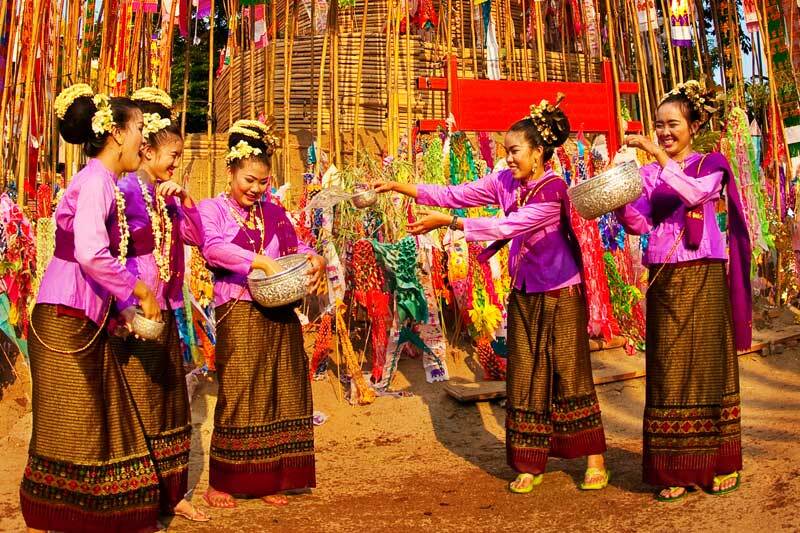 The Songkran Festival in Chiang Mai starts on April 13 when most people begin a clean-up of their homes to ring in the new year. On April 14 revellers refrain from verbal abuse, which is believed to cause bad luck otherwise. 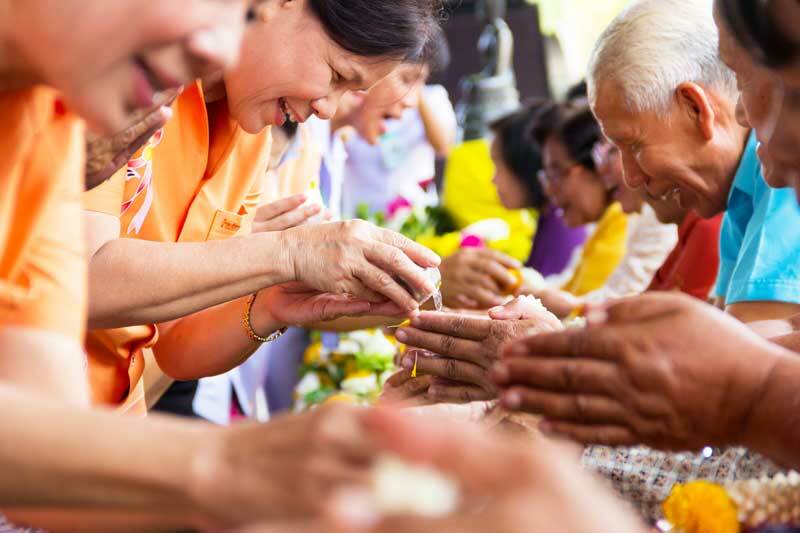 On April 15 Buddhists file into temples to offer alms to Buddhist monks, listen to a sermon and pay their respects to their older relatives by pouring scented water on their older relatives by pouring scented water on their hands. On April 16 Buddhists visit temples to seek monk’s blessings. 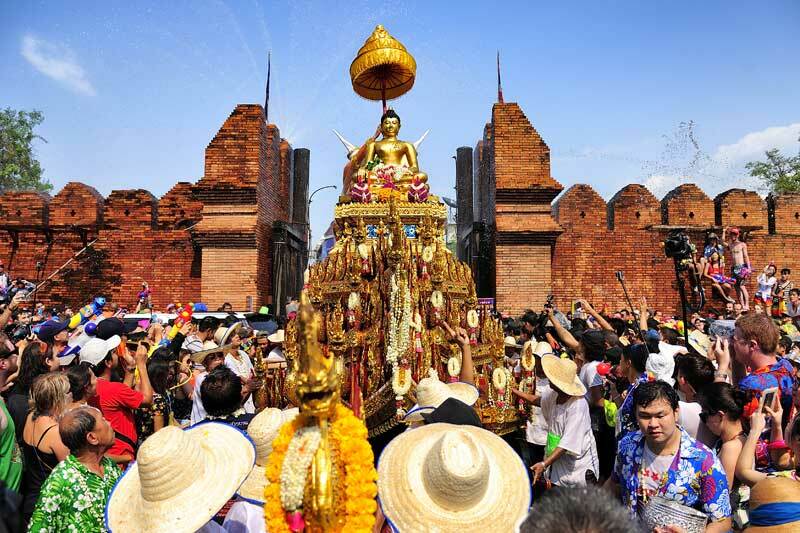 On April 17 local folks rid themselves of all bad luck to welcome the Lanna-style Songkran Festival. April 18 is the day of fun and frolic. Chiang Mai’s main Songkran spots include the pavements around the city’s moats, Tha Phae Gate, Huay Kaew and Chang Phuak Gate. 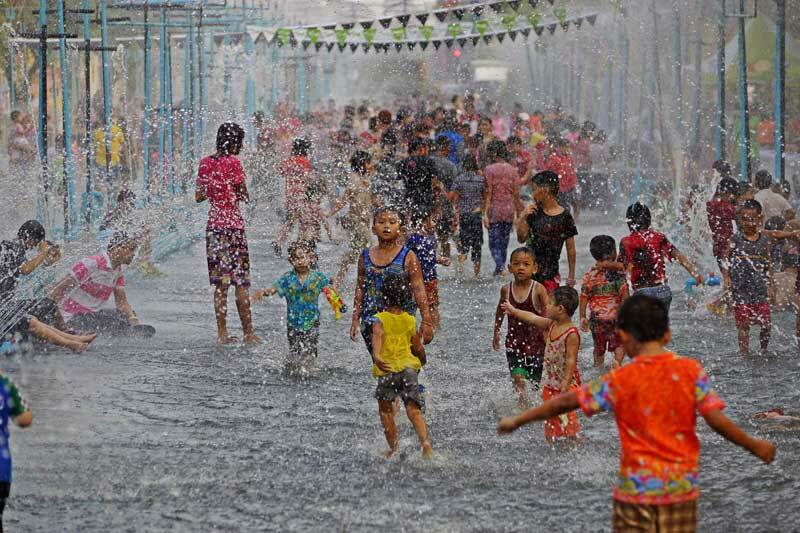 Thailand’s northeast or Isaan is wringing-wet during Songkran, locally called “Boon Duen Ha”. Songkran starts on the 15th day of the waxing moon of the 5th month on the Thai lunar calendar. Celebrations start at 15.00 with Buddhist monks pounding drums to ring in the New Year. Locals prepare perfumed water for bathing Buddha statues and pouring on the heads of their close elders. 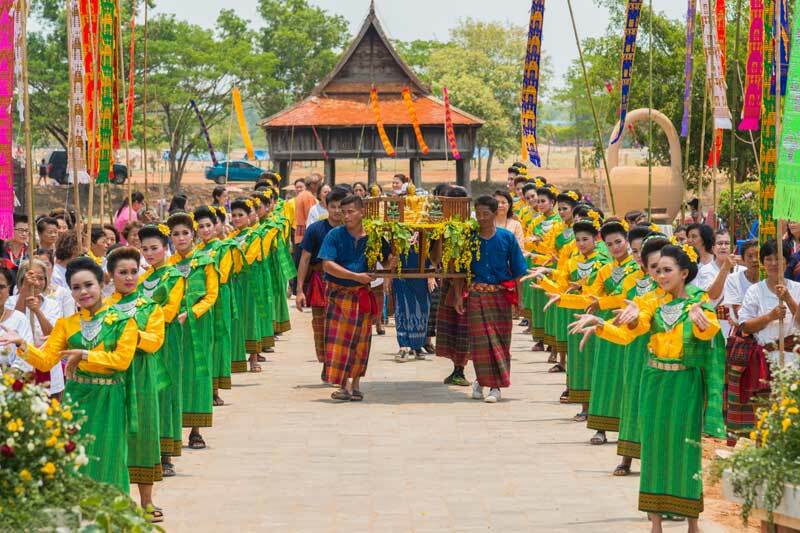 Big Songkran celebrations are held in places like Ubon Ratchathani that hosts the festival from April 13 to 15 at Thung Sri Muang and on Ubonwit Road. Thung Sri Muang is transformed into a street of flowers with revellers splashing water throughout the day. The water splashing on Ubonwit Road runs from 15.00-21.00. 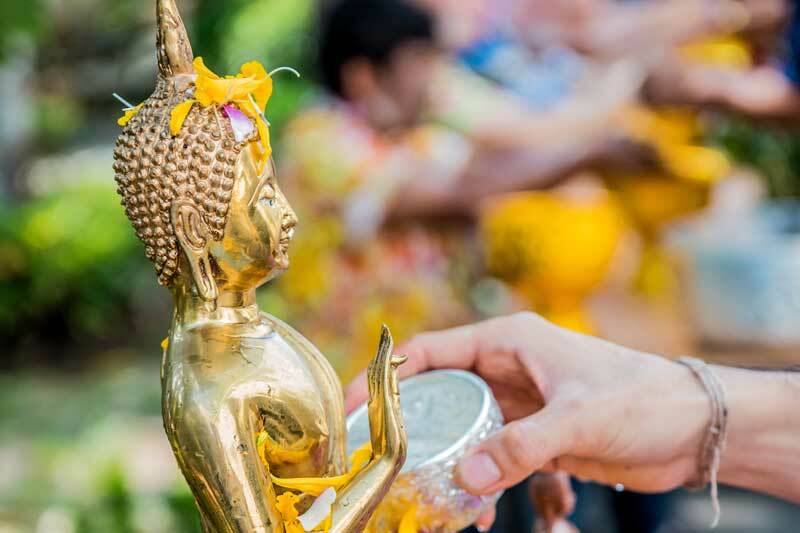 Songkran in southern Thailand marks the passage of the city’s guardian angel. April 13 is the day for the send-off of the old guardian angel with a ceremony to cleanse the city of bad luck. On April 14, locals engage in merit-making by giving alms to Buddhist monks and bathing Buddha images at temples. The last day of the festival is April 15 marked with a ceremony to welcome the new guardian angel. By far Phuket is the most popular venue for Songkran in the south with considerable international appeal. 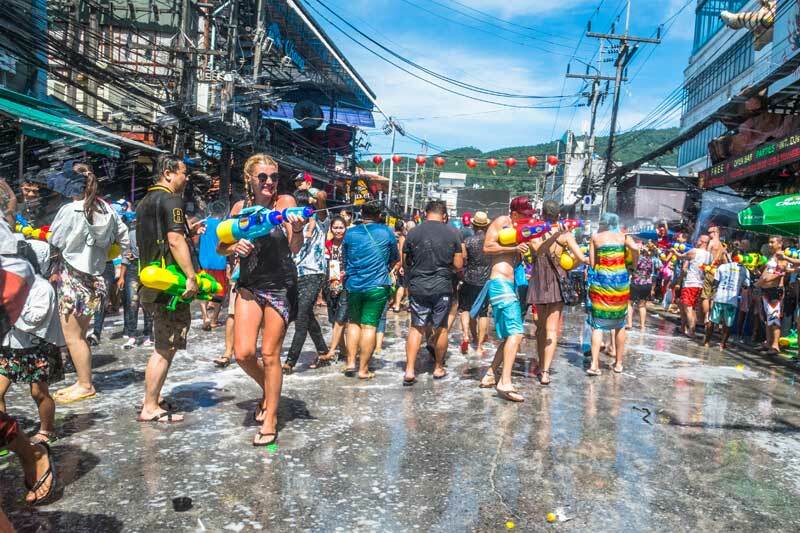 Phuket has “Songkran on the Beach” at Patong Beach, which combines merit-making with water splashing. For a great photo op, head to Dibuk Road that’s lined with old colonial buildings for “Songkran Baba” with revellers turning out in force clad in traditional costumes. More info : Call TAT in Bangkok at 0 2250 5500 or the TAT o ices in Chiang Mai, Ubon Ratchathani and Phuket at 0 5324 8604-5, 0 4524 3770 and 0 7621 1036, respectively.